Want to schedule a consultation with us? We would love to meet you and your pet! Appointments can be scheduled during our regular business hours. We will ask for you and your pet’s basic information, primary care veterinarian, and a brief description of your pet’s medical condition. Generally, we are able to schedule your appointment with one of our internists within 1 week. Sometimes emergencies happen. If you feel your pet is in crisis or must be seen sooner than we are able to schedule, please call us at 719-272-4004 to facilitate an appointment on emergency basis. If your pet needs evaluation and care outside of our business hours, you may admit through the Animal ER Care, located within our building. 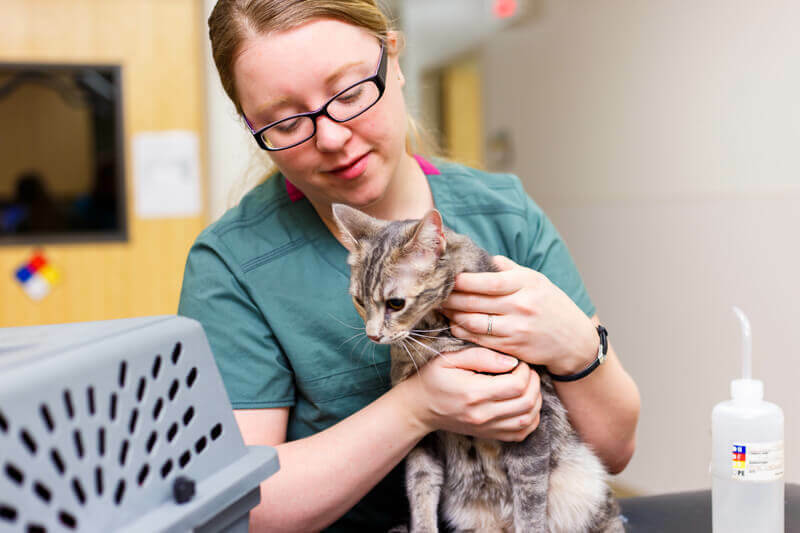 They can provide emergency evaluation and hospitalization overnight until your pet can be transferred to Internal Medicine the following morning. Please be advised that although we share a building, AERC is a completely separate business from us. You can reach them at (719) 260-7141. In general, it is helpful for you to withhold food for 12 hours prior to your appointment, as this may be needed for additional diagnostic testing. Please confirm with your primary care veterinarian that it is safe for your pet. Water should be available. Please make sure that your pet’s medical records and recent lab reports are available at the time of your appointment. These may be faxed by your referring/primary care Veterinarian prior to your appointment (we can take care of this part for you! ), or you may bring them with you. If your primary care veterinarian has taken any X-Rays, please bring these with you along with all your pet’s current medications. The Doctor will obtain a thorough history, perform a complete physical examination and discuss diagnostic and treatment options. You will have the opportunity to ask questions and an estimate of charges will be presented. Many common diagnostic tests and some procedures and treatments (such as an ultrasound) can be completed during your consultation, others may be scheduled for a later date.